It’s a fruit overload! 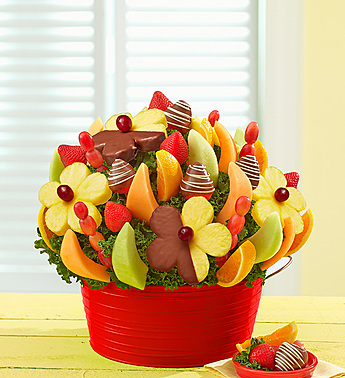 Our deluxe bouquet is a sure crowd pleaser, filled with a mouthwatering mix of dipped pineapples and strawberries, two kinds of melon, oranges and grapes. And if that’s not enough to get your appetite going, for a limited time, we’re giving you twice the fruit for the same price!